Do you know why Africa is so poor? What really happens to your charity money? Why do trade rules fail African countries and yet cost you too? We've heard it all before: the corrupt leaders, heartless global corporations, the wicked World Bank. But the answers are much closer to home... and so are the solutions When Giles Bolton began working in the world of aid and development, he travelled to Africa convinced that he could solve problems, save villages and sing songs with the locals under a shimmering sunset. 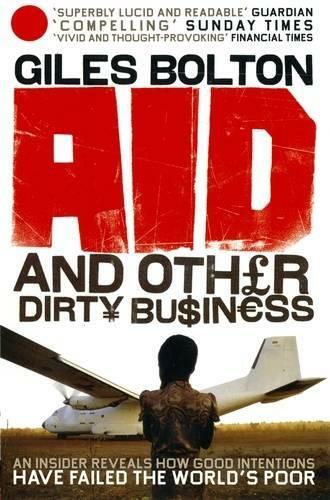 The reality proved rather less romantic, and far more shocking... Aid and Other Dirty Business is a radical, brilliantly readable and totally original approach to the seemingly unending problem of poverty in Africa. It may change your life, but, more importantly, it will help you change the lives of others.